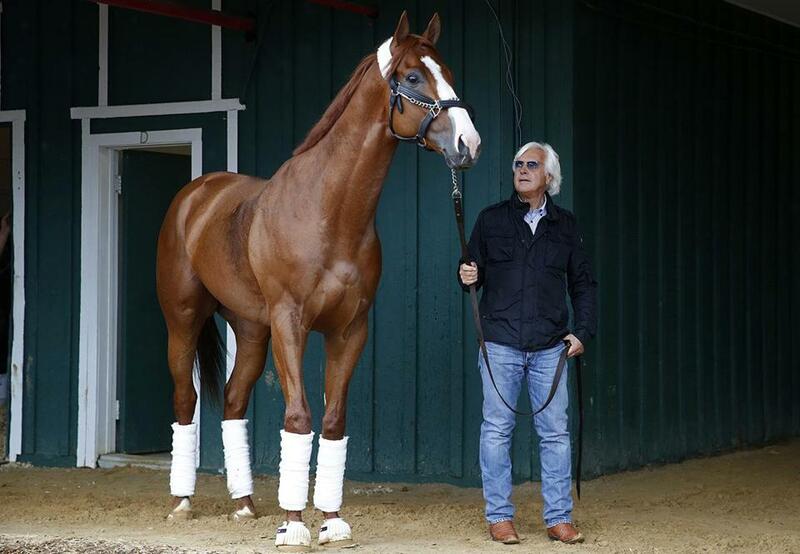 Justify with trainer Bob Baffert at Pimlico Wednesday. Comment: After a second-place finish in the Arkansas Derby, his connections decided to bypass the Kentucky Derby and wait for this. He has the French connection to guide his career; Brisset is young but regarded as an up-and-comer. Comment: In the Derby, he started poorly, ran into some trouble while skimming the rail, and never really made up ground. Amoss is a great trainer, however, so improvement is possible. Comment: He was a nonthreatening fourth in the Pat Day Mile on Derby Day at Churchill. He’s a troublemaker, too; he has interfered with other horses multiple times. Comment: The Philadelphia-based horse won the Maryland prep race for the Preakness April 21. He’s 4 for 6 lifetime, but three of the wins were in sprints. Comment: He valiantly chased Justify throughout the Kentucky Derby but could not overtake him. Brown was expected to skip the Preakness but changed his mind. Comment: He has had only three races (winning two) and contended in the early pace of the Arkansas Derby before fading to fifth. His connections, however, make him an interesting proposition. Comment: His Derby victory was spectacular, as he ran second behind a fast front-runner and still no horse could come close to passing him. His final quarter-mile wasn’t fast, but no one was catching him. It was a top-notch ride by Smith. Comment: He was 67-1 in the Kentucky Derby, got bumped coming out of the gate, and still managed to rally to finish sixth.